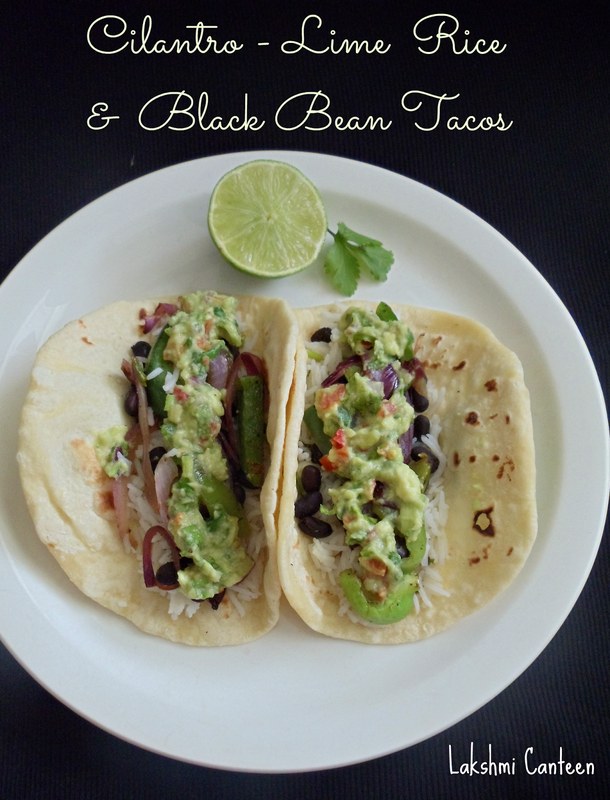 Cilantro - Lime Rice & Black Bean Tacos is one of our all time favorite dishes. As mentioned in my last post, Chipotle's Veggie Burrito is our favorite and hence wanted to recreate it at home. I tried making everything from scratch and trust me they taste much better then Chipotle! You know what goes into each one of them and is much healthier. Other recommend Toppings: Sour cream, Shredded lettuce, Pico de Gallo, Cheese, Cooked corn kernels etc. 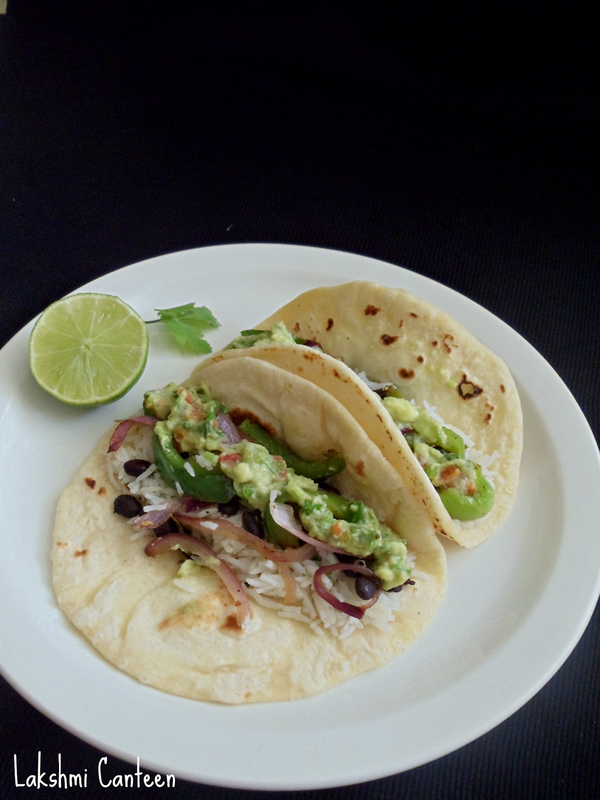 Making these tacos is a little time consuming as there are bunch of things to prepare. 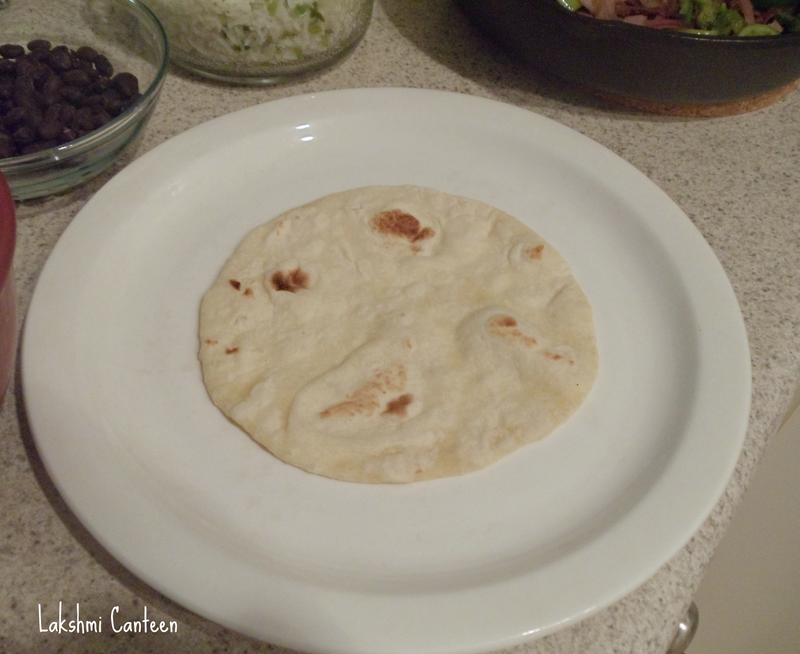 If you want to take a short cut while making these then buy flour tortillas and canned black beans from the store. I make all of them from scratch. Make sure to check out the recipe for each of them provided under 'Ingredients'. 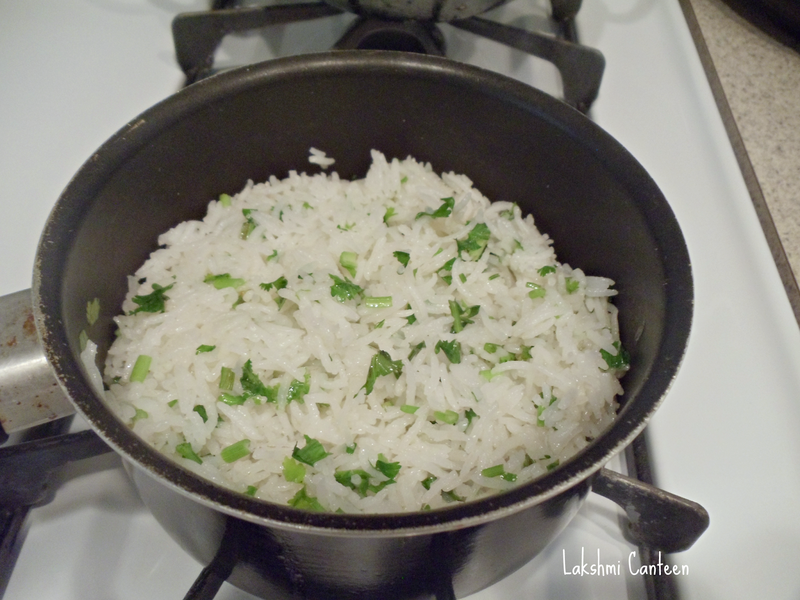 #Then prepare the cilantro- lime rice. Check out my previous post for the recipe. 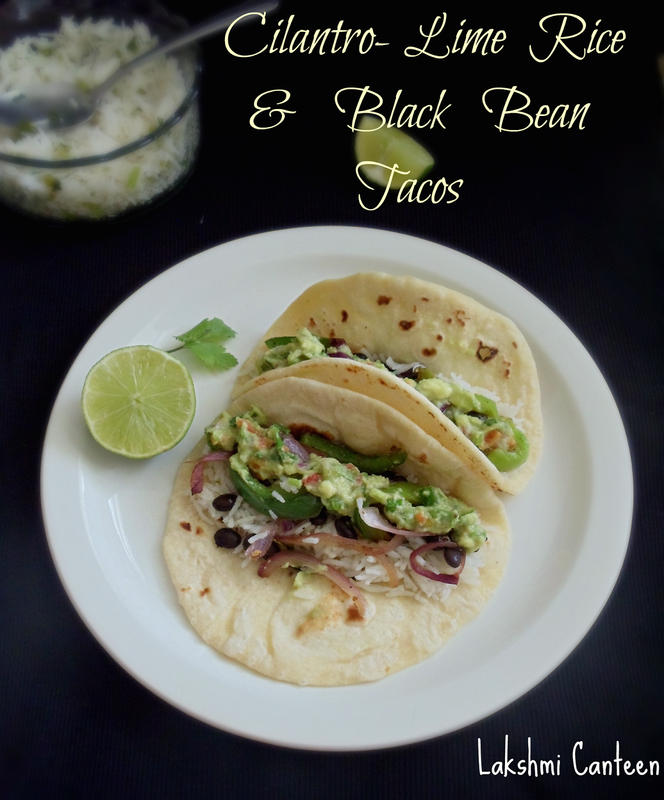 #For Black beans - You can use canned beans or home cooked beans. I usually cook a large batch at once and then freeze it for later use. 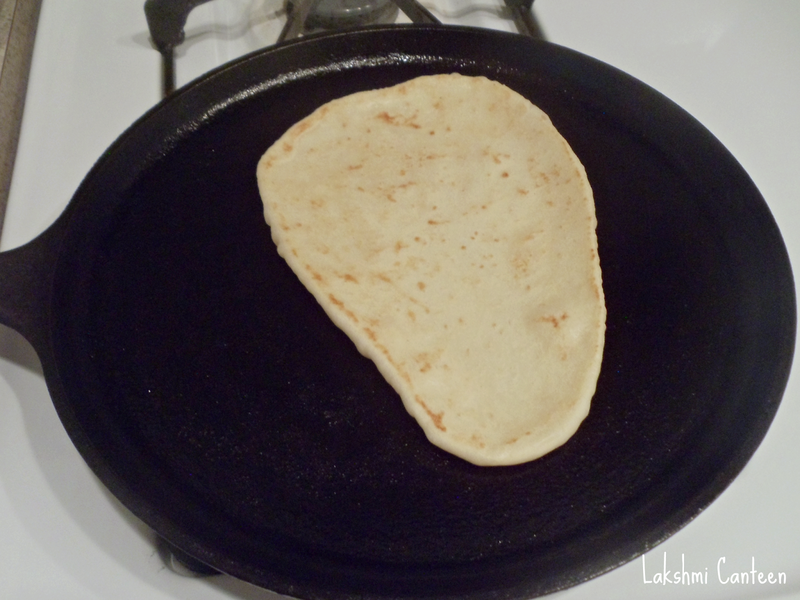 #Make flour tortillas or heat the store bought ones and set it aside. 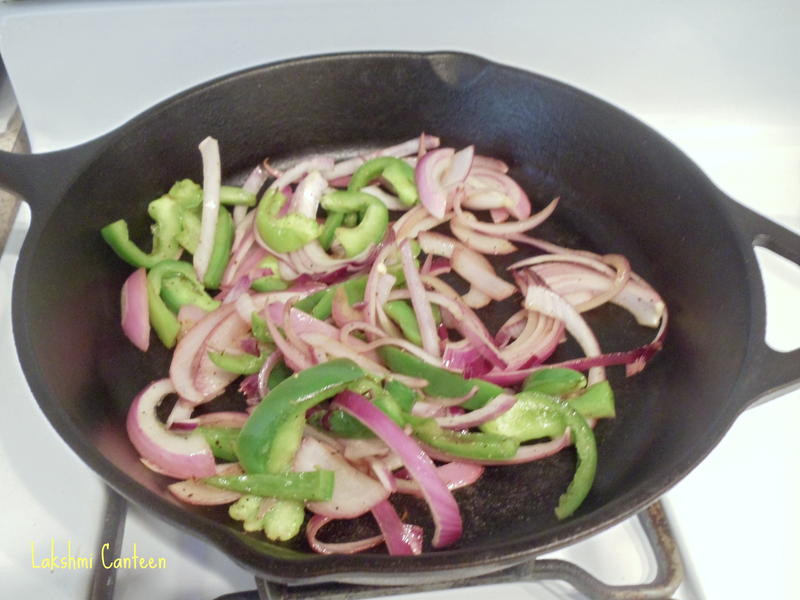 For making Veggie stir fry: Slice the onion and bell pepper lengthwise. Then heat a wide pan along with oil. Once hot, add sliced veggies and mix well. Sprinkle salt and pepper. Continue cooking until done (I don't brown them). Then transfer to a bowl. Line up all the ingredients that go in a taco. Now take a tortilla on a plate. 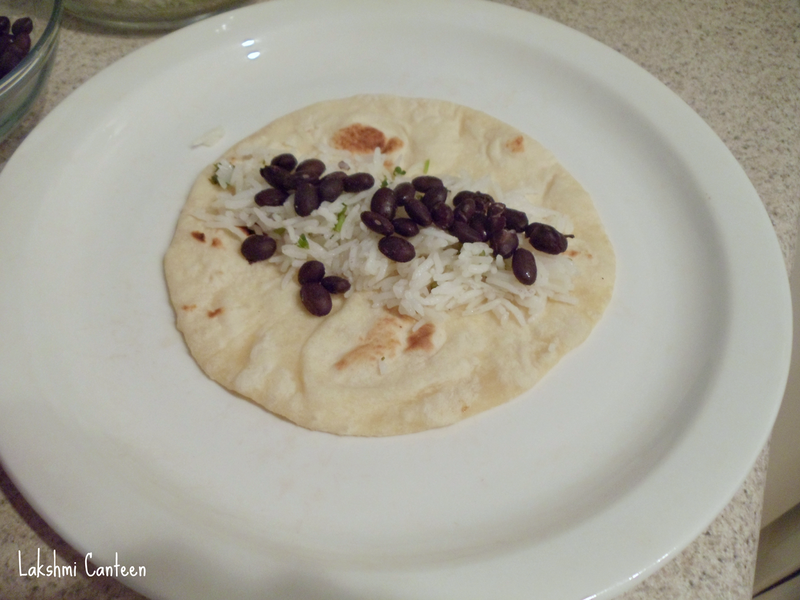 Then place some cilantro- lime rice and black beans. 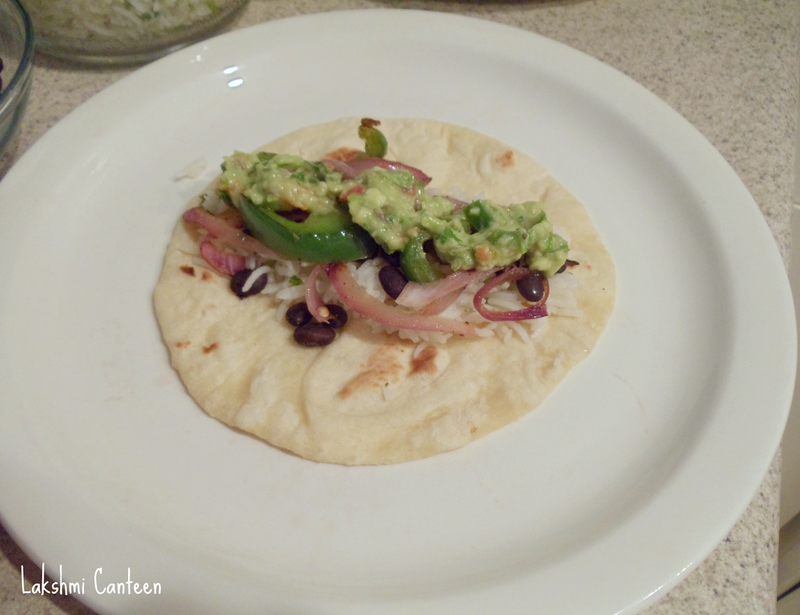 Then top it off with stir fried veggies and guacamole ( and any other toppings of your choice). 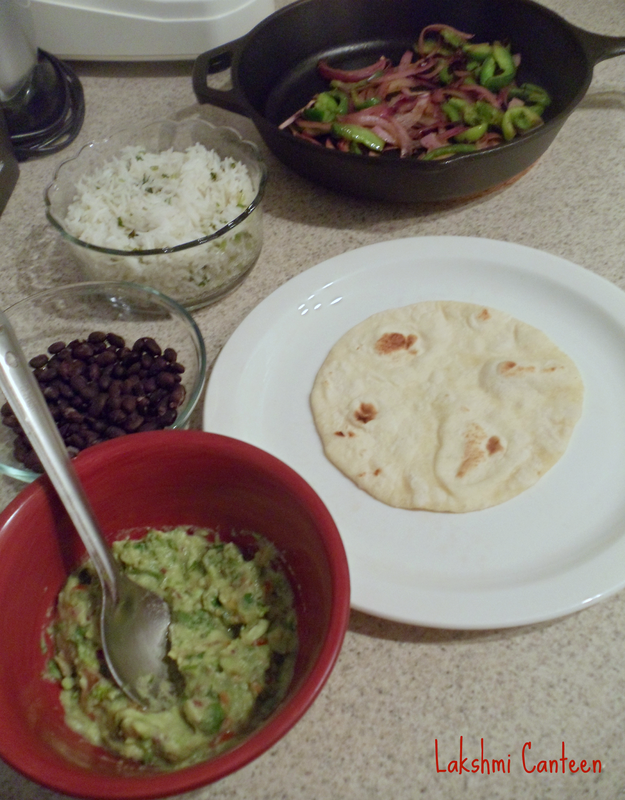 Cilantro - Lime Rice & Black Bean Tortillas are ready!! Serve it immediately once assembled. Above measurement serves two. 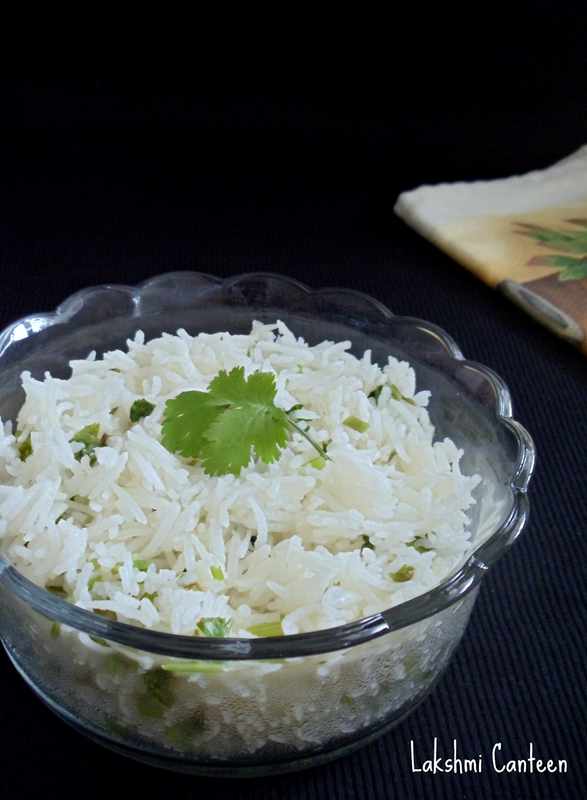 Cilantro - Lime Rice is a simple flavored rice which I have been making it for years now. I have adapted the recipe from here. I love Chipotle's Vegetarian Burrito bowl and the lime rice is one of my favorite rice. I wanted to recreate their burrito bowl and the lime rice I tried from 'Chef In You' turned out pretty good. Now I make it whenever we crave for burrito bowl as I don't prefer to eat out often. Wash and soak rice for 5- 10 minutes. Now heat butter in a pan. 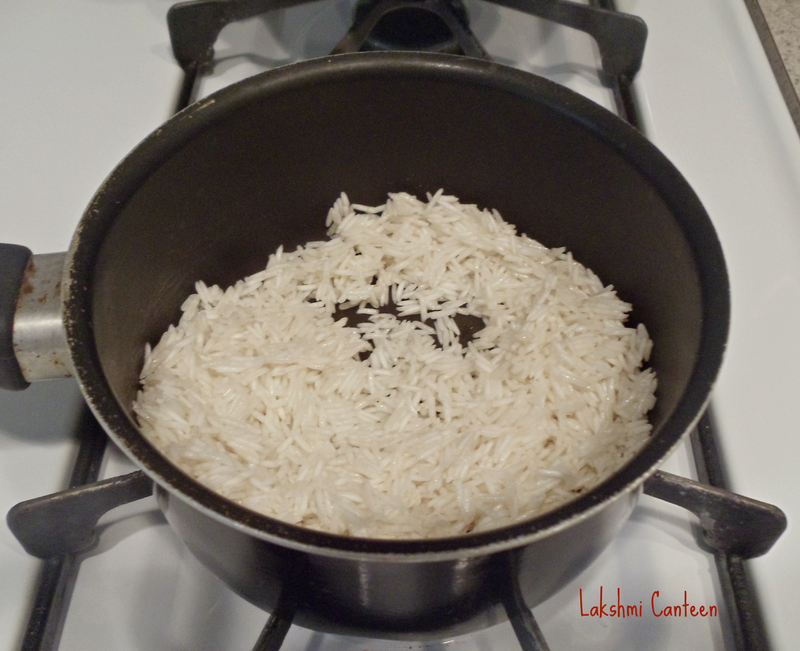 When it starts to melt, add the drained rice and sugar. Fry the rice until a nice aroma is got. Then add in the lime juice as desired. Stir it for a minute. Then add water and salt.Mix well. At this point taste the water for salt. Allow it to boil. 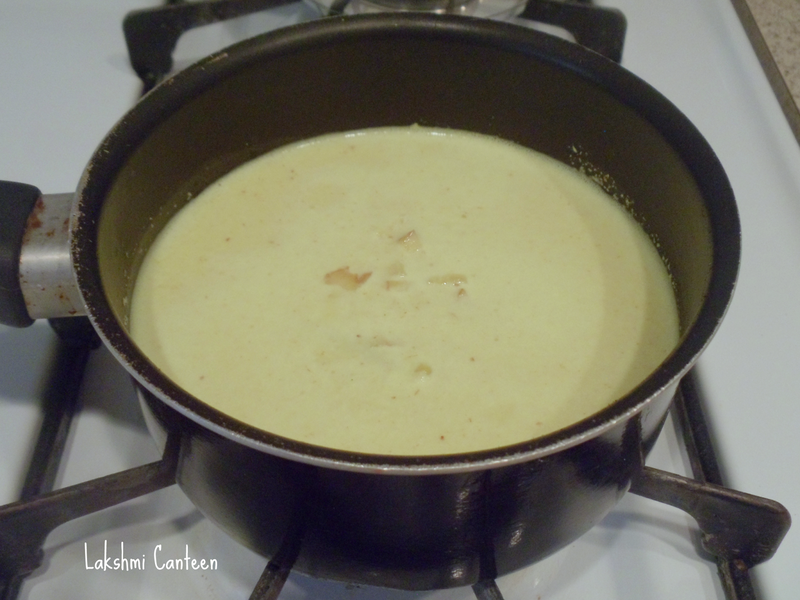 Once the water is absorbed partially, cover the lid and lower the heat to minimum. Let it cook for 10 minutes on low heat. After 10 minutes, the rice will look like this. Turn off the heat. Then add in the chopped cilantro and mix gently. Add more lime juice if desired. Then close it with a lid and let it sit for 10 minutes. 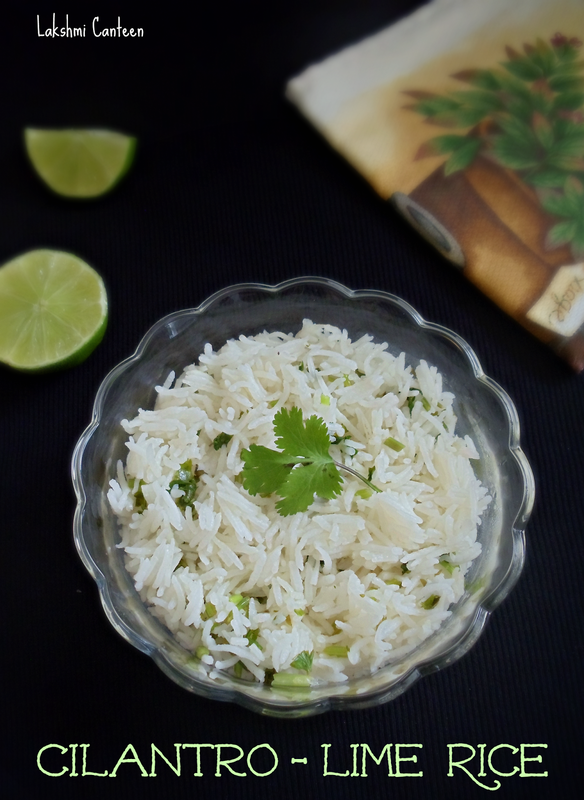 Cilantro - Lime Rice is ready!! Serve it warm. This rice can be added in a burrito, burrito bowl or taco. Above measurement serves two people. 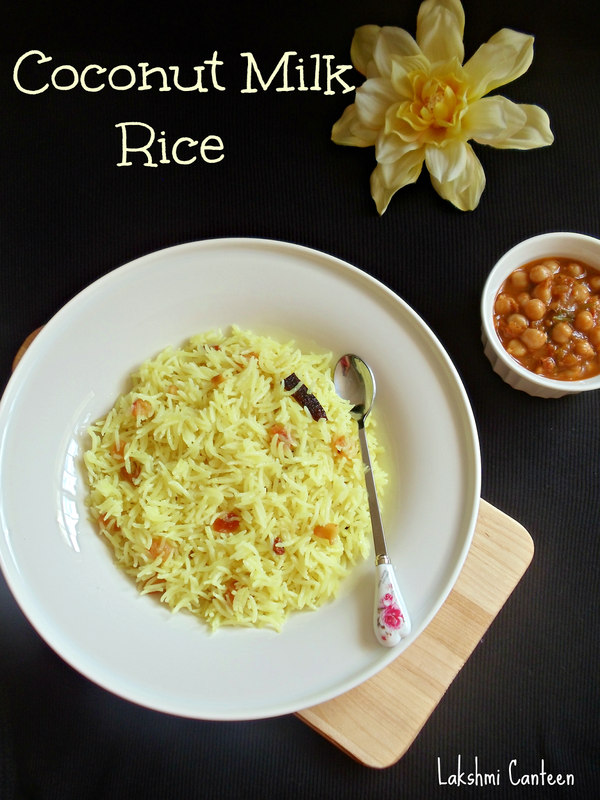 Coconut Milk Rice is a recent try in my kitchen. 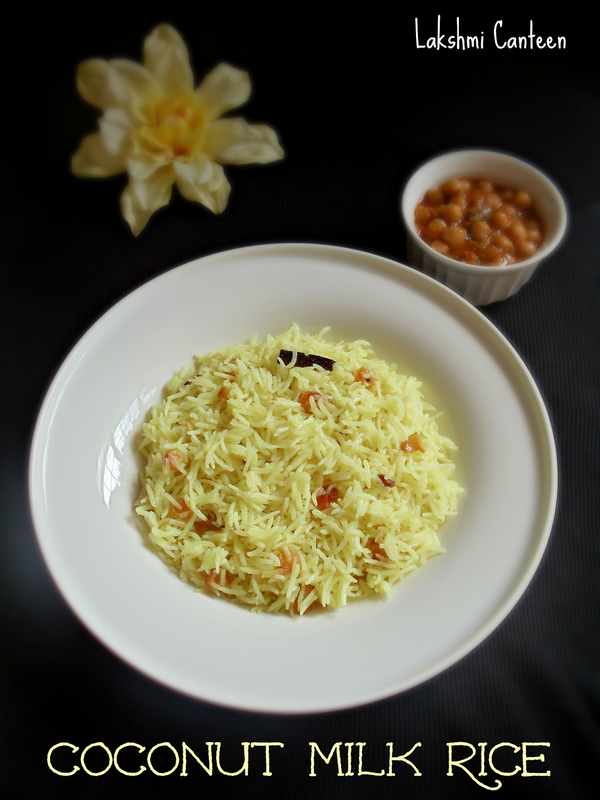 It is a rich and flavorful rice dish. 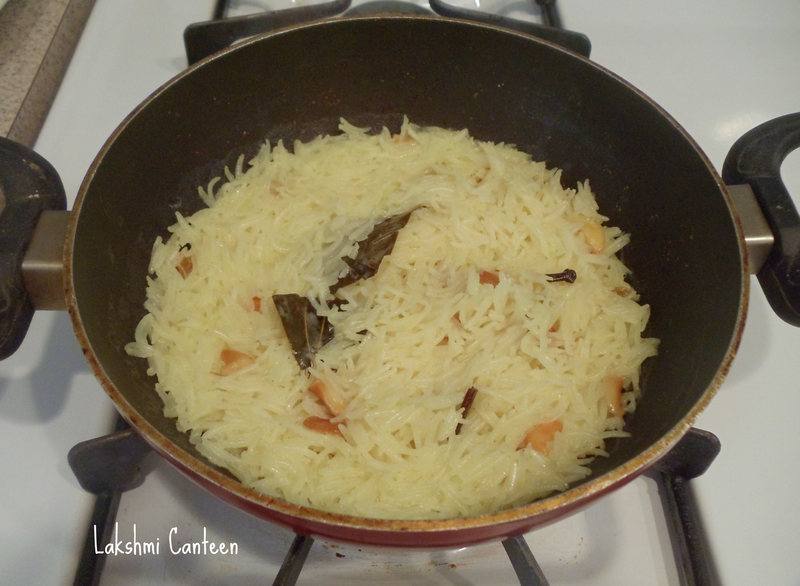 The rice is cooked in coconut milk and has a mild flavor infused from whole garam masala and ghee. It requires only few ingredients and very easy to make too. I had some leftover canned coconut milk lying in my refrigerator. I was in search of a recipe in order to finish up the milk. 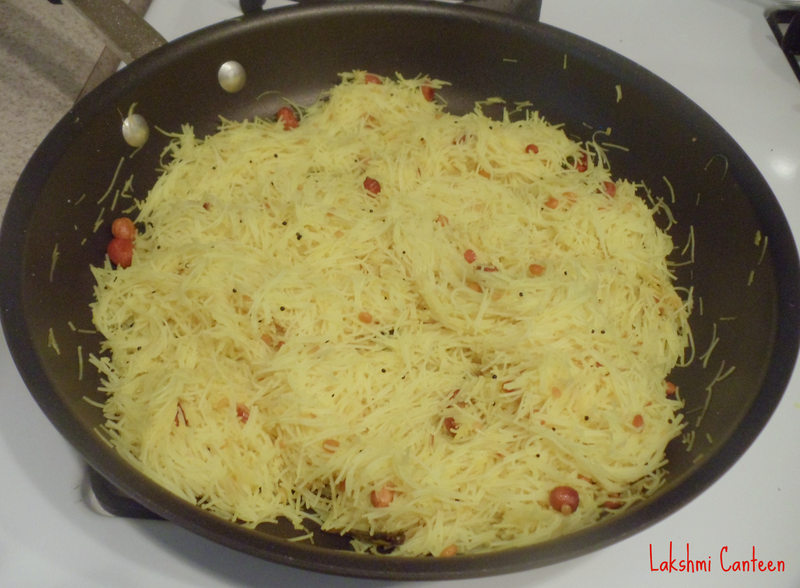 I came across this recipe and totally fell in love with it. I knew that it will turn out yummy and as expected it did. I am totally in love with this quick recipe. It is so tasty that I can eat it as it is without any curry. Do give this a try for a get together or any special occasion. I am sure it will please many !! 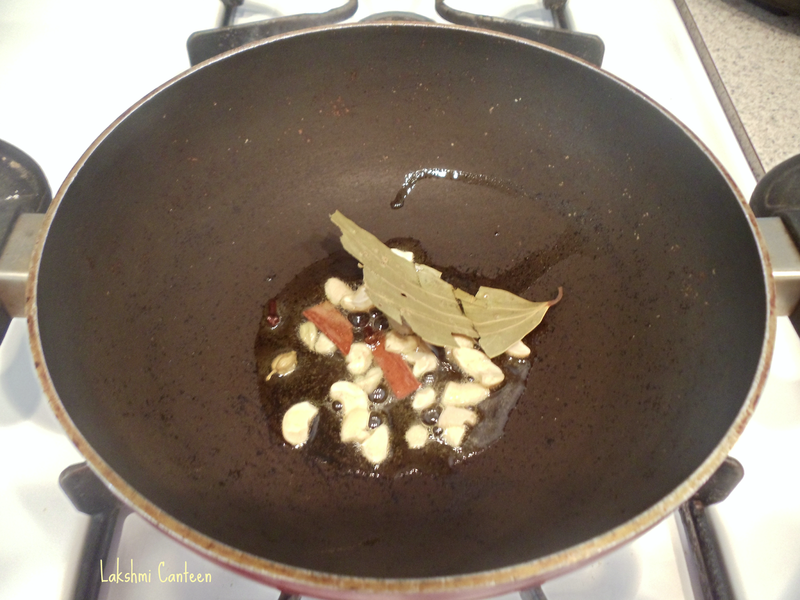 *I added 1 bay leaf, 2 cardamom pods, 2 cloves and 2 small pieces of cinnamon. 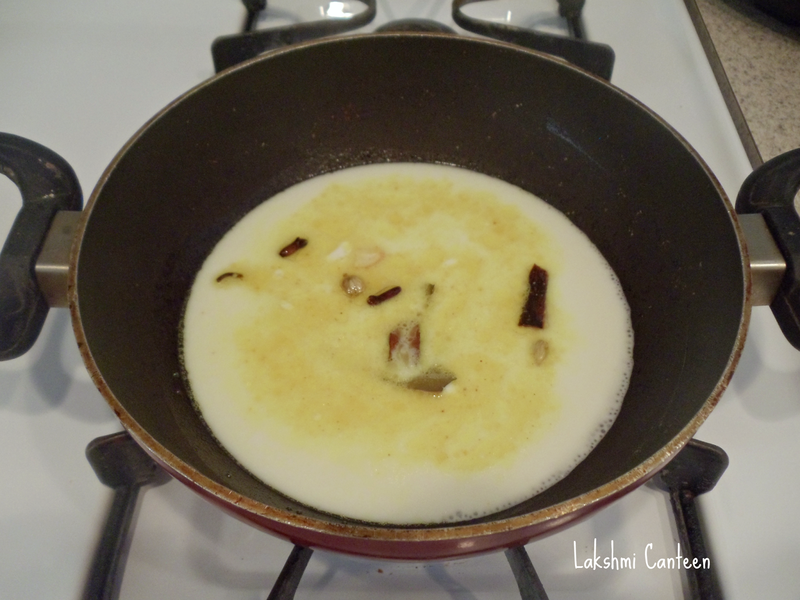 Now heat ghee in a pan on medium flame. 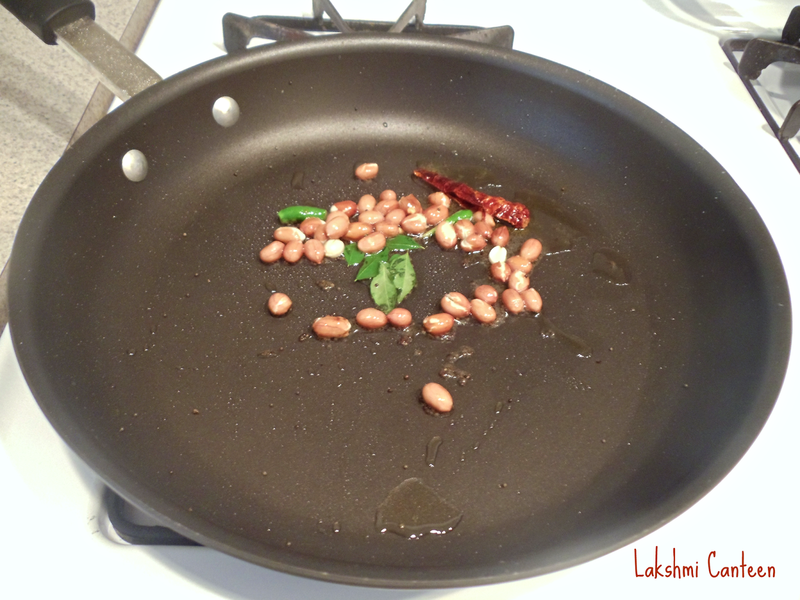 Once hot, add cashew pieces and whole garam masala. After few seconds add raisins. Once they are lightly toasted, add turmeric powder, coconut milk and water. Mix well. Now add salt and taste the mixture. Add more if required. 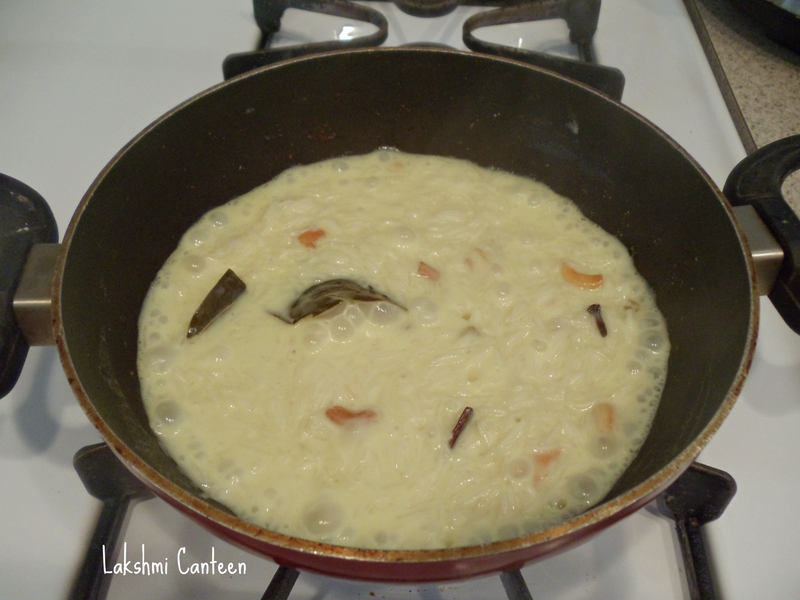 Once it starts bubbling, add in the drained rice. 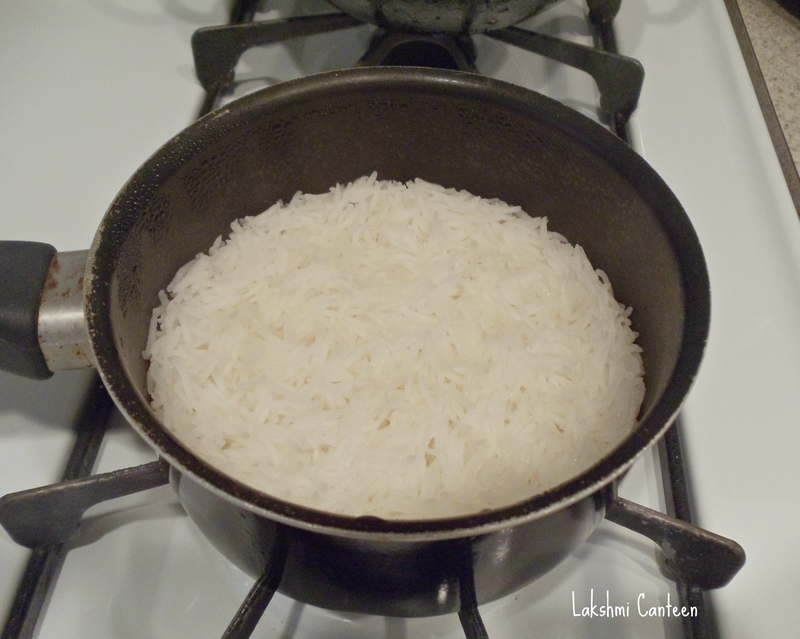 Mix well and cook the rice until most of the moisture is absorbed. Then close the lid and reduce the flame on lowest possible, for 10 minutes. After 10 minutes the rice looks like this. Turn off the heat. 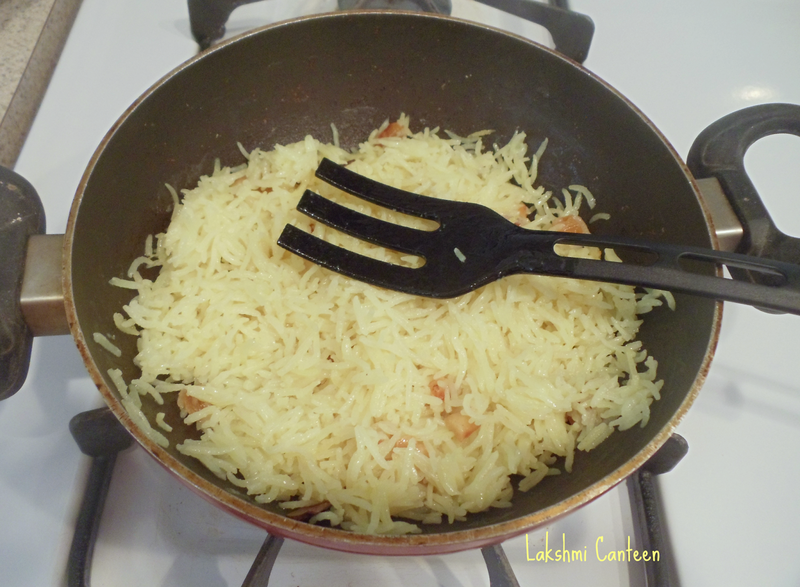 Now fluff the rice gently using a fork. Then close it again and let it rest for 10 minutes. 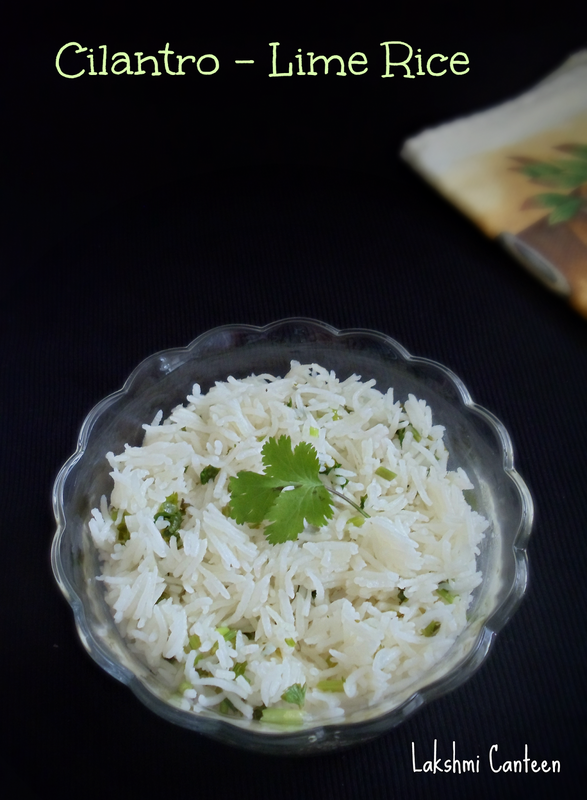 Coconut Milk Rice is ready!! Serve it warm with any spicy curry of your choice. Above measurement serves 1-2 people. 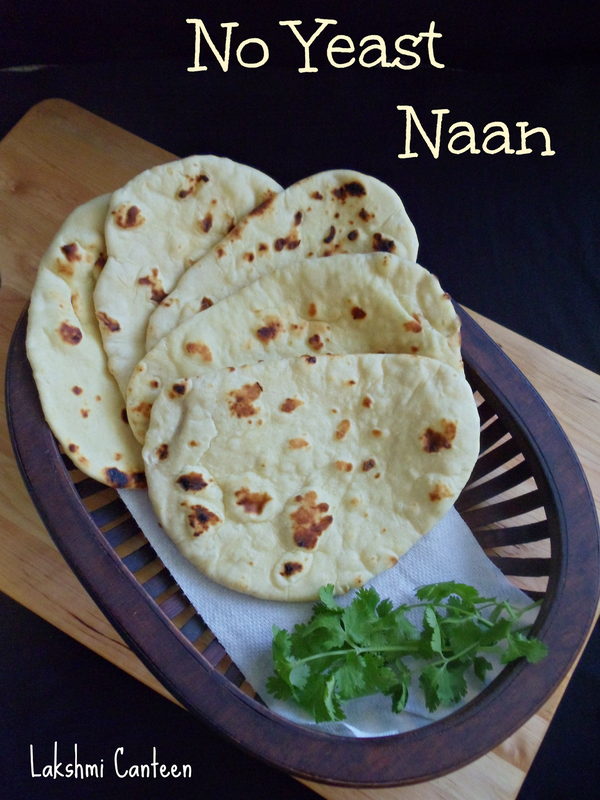 Naan is a flat bread which is popular in India and also many parts of the world. 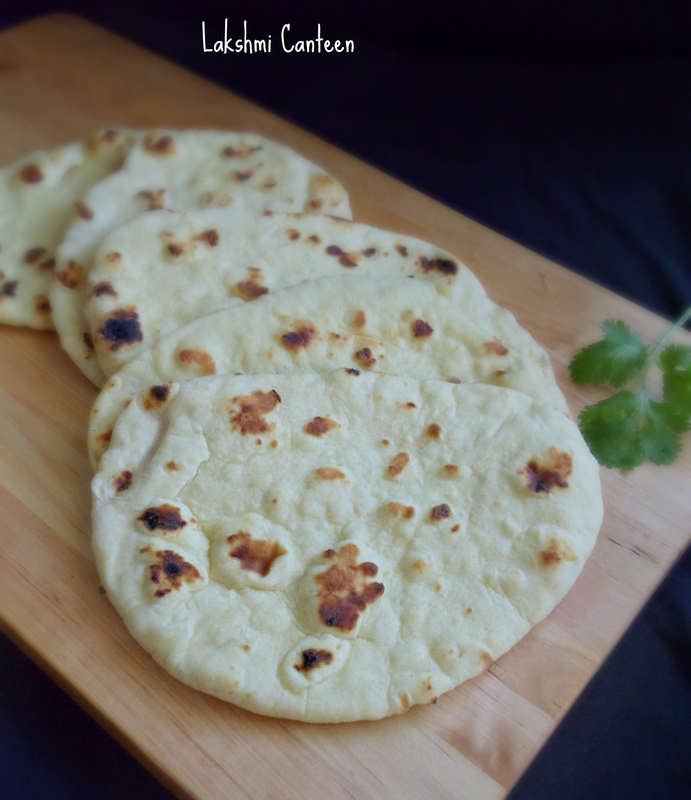 Typically it is baked in a tandoor and has a distinctive taste and shape. It has won hearts of countless people across the world. 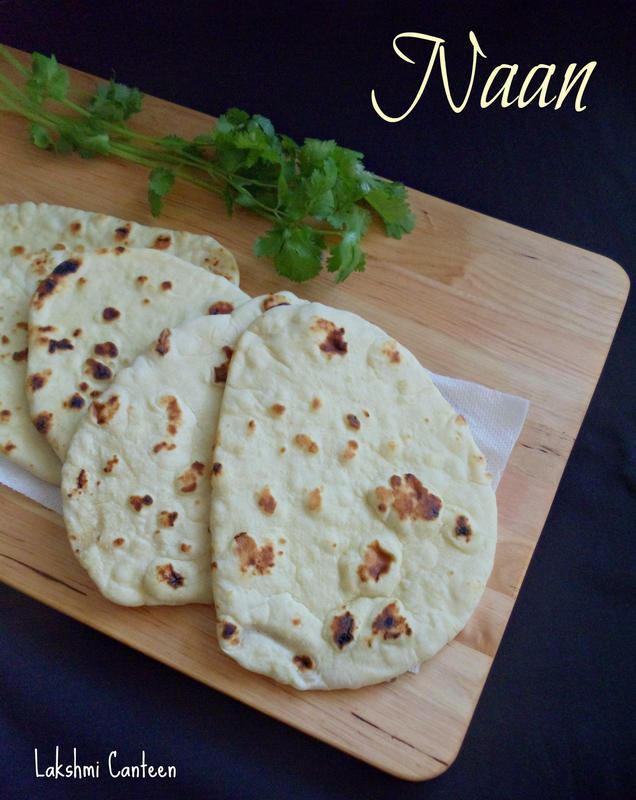 There are so many recipes of making naan and today I am sharing a recipe which I learnt from my mother. She has been making this for years on a skillet and it turns out perfect every single time. Take all the ingredients in a bowl except milk. Now mix in everything. Add warm milk little at a time to get a non sticky dough. 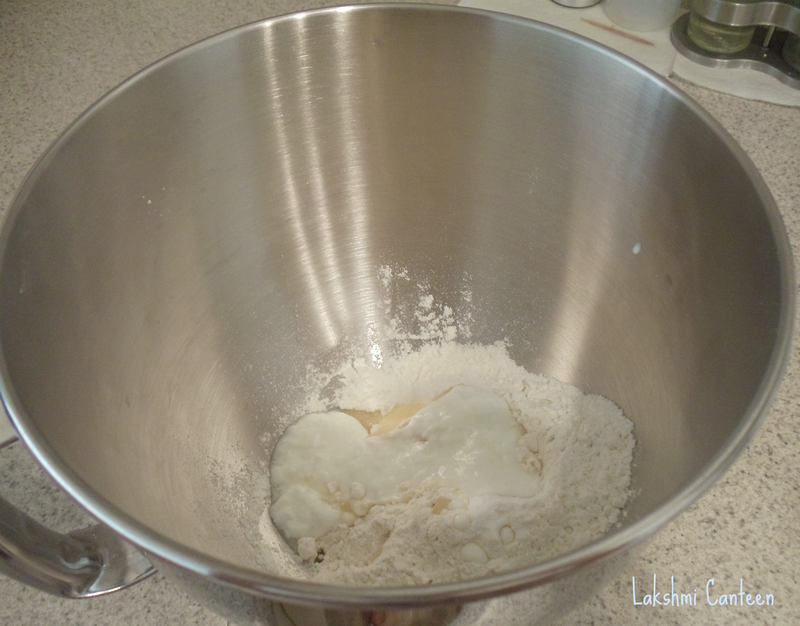 Then knead the dough for 5-7 minutes until it becomes soft and elastic. 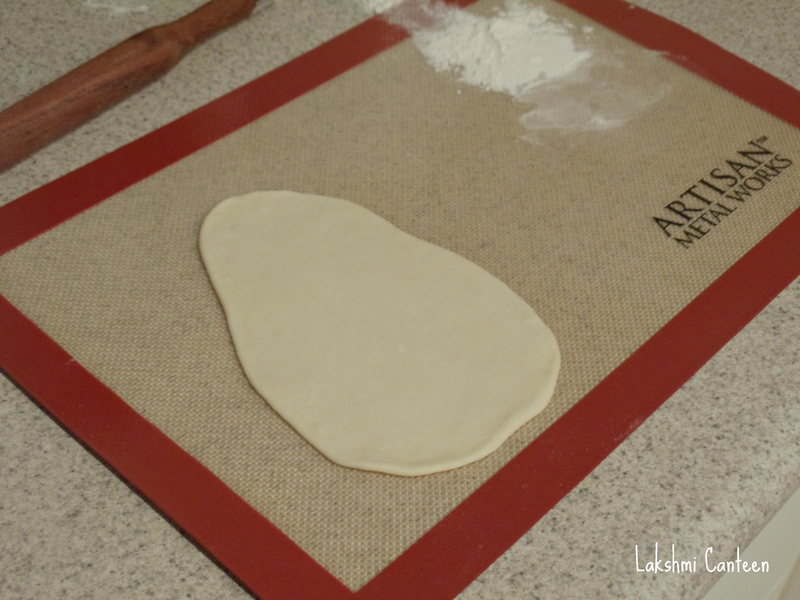 Cover this dough with a cloth or cling wrap and let it sit for 5-6 hours. 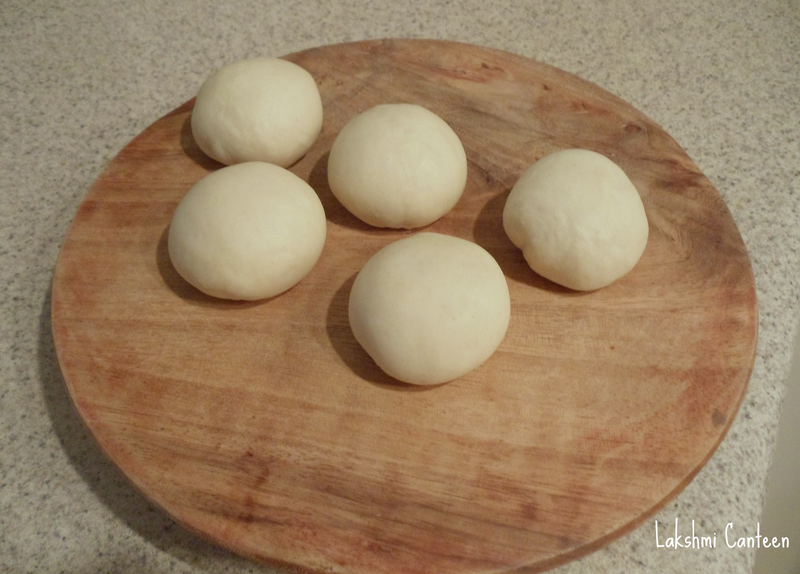 Then divide the dough into five equal parts. Let it rest for 5- 10 minutes, covered. Now take a dough ball and roll in flour. Start rolling it to get the shape shown below (or any other shape of your choice). 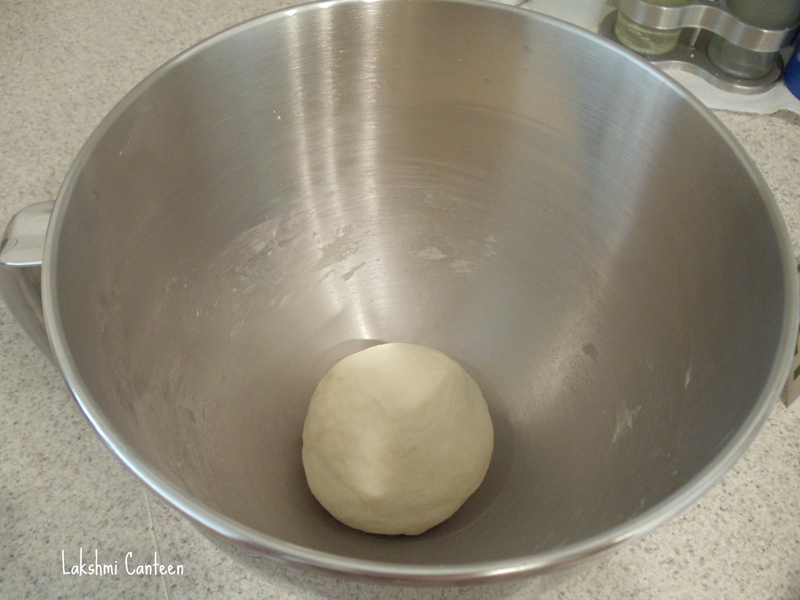 Rolled dough should be of 1/4 inch thick. 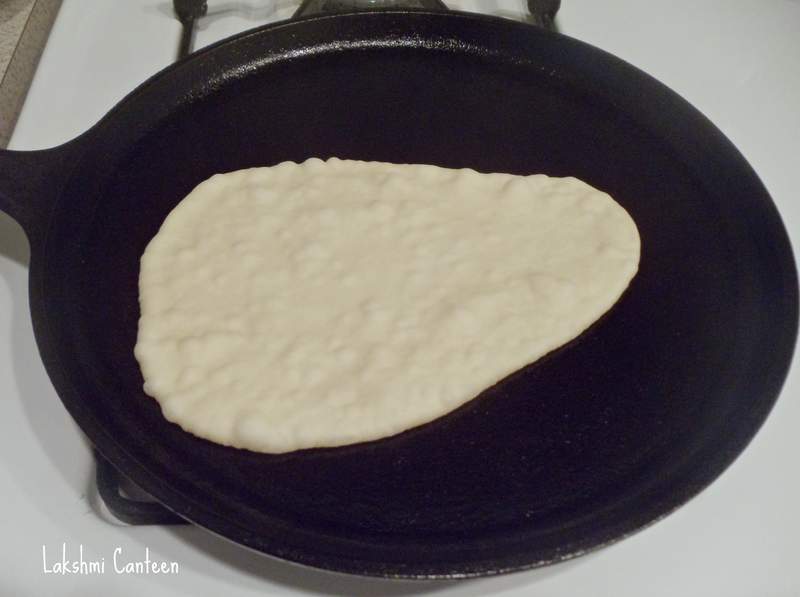 Now place the rolled dough on a preheated hot skillet. When it gets slight brown color, flip it. Fry until the other side turns light brown. Then fry it on direct flame on both sides for few seconds until it turns slight dark and puffy. Transfer it to a plate lined with paper towel. Continue with the rest of the dough balls. 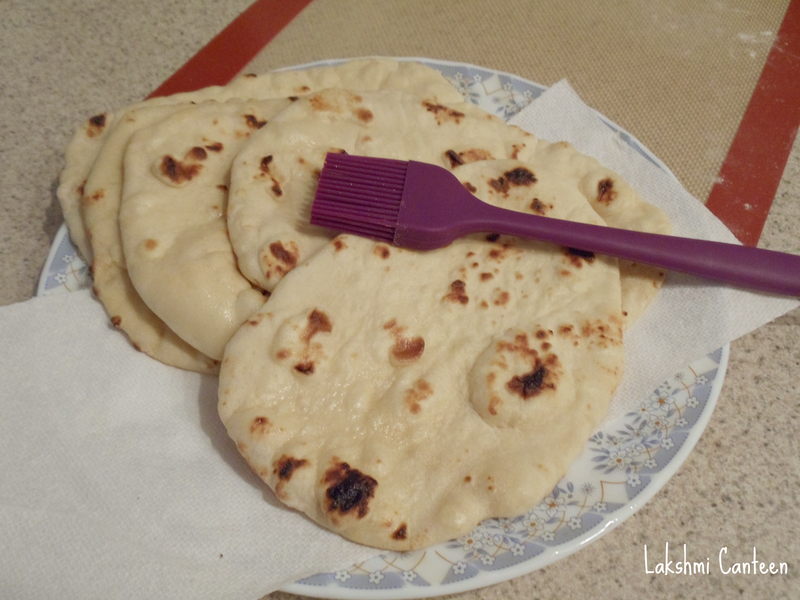 Once done brush the top of naan with melted butter or ghee. Serve it hot with any curry of your choice. 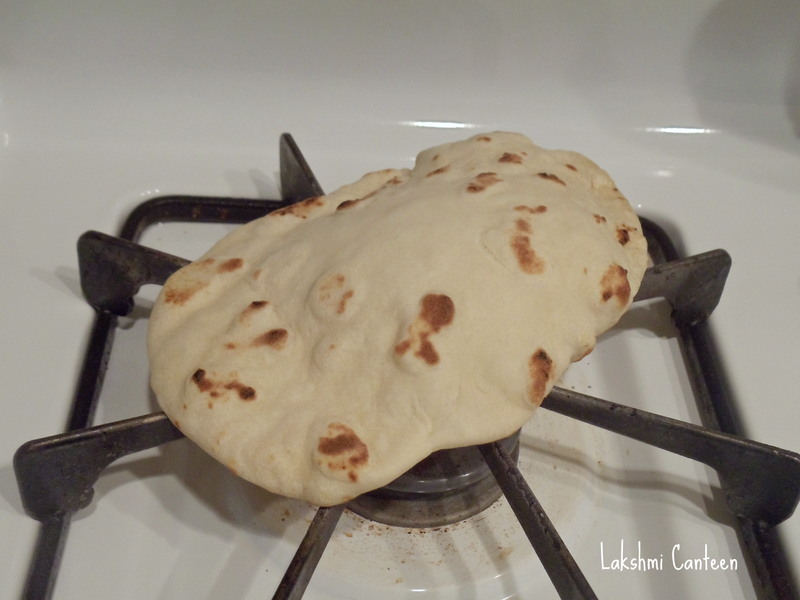 Above measurement makes five medium sized naan. 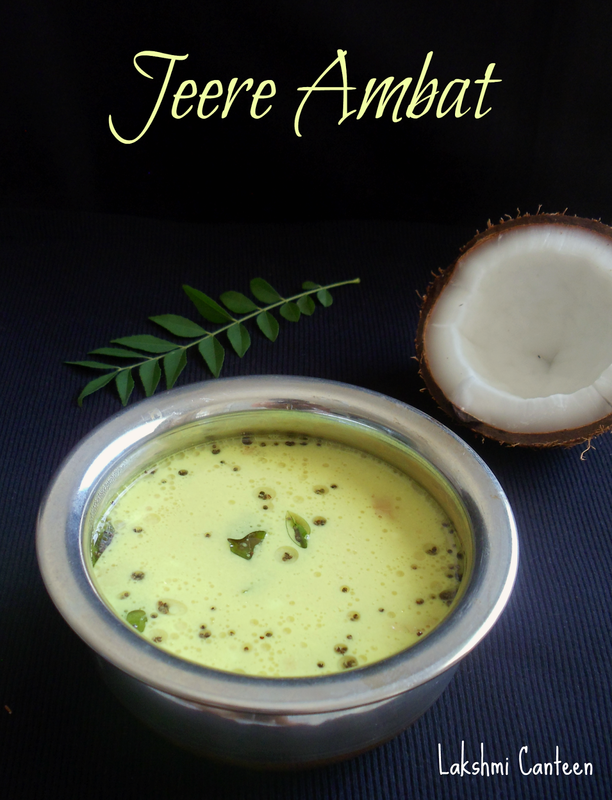 Jeere Ambat is a mildly spiced Coconut based dish. This is one of the dishes my paternal grandma made regularly. My mother learnt to make it from her. 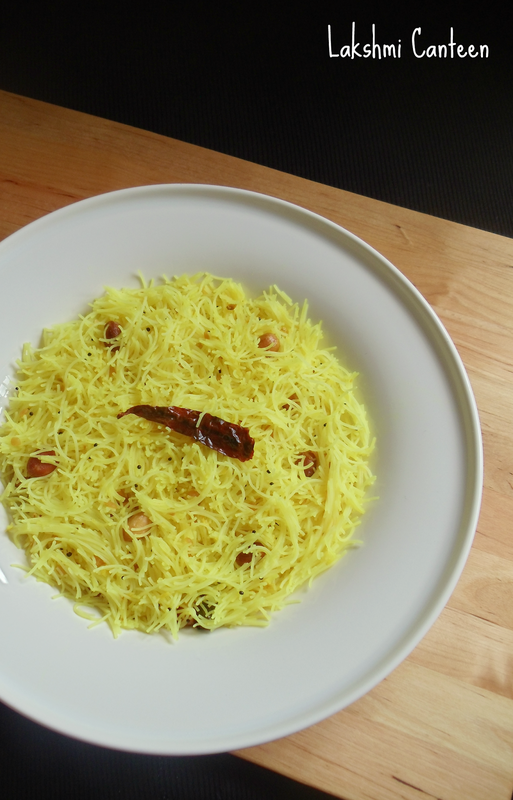 Freshly grated coconut is ground to a paste along with turmeric and cumin. It is then diluted and boiled with ginger and green chilli. 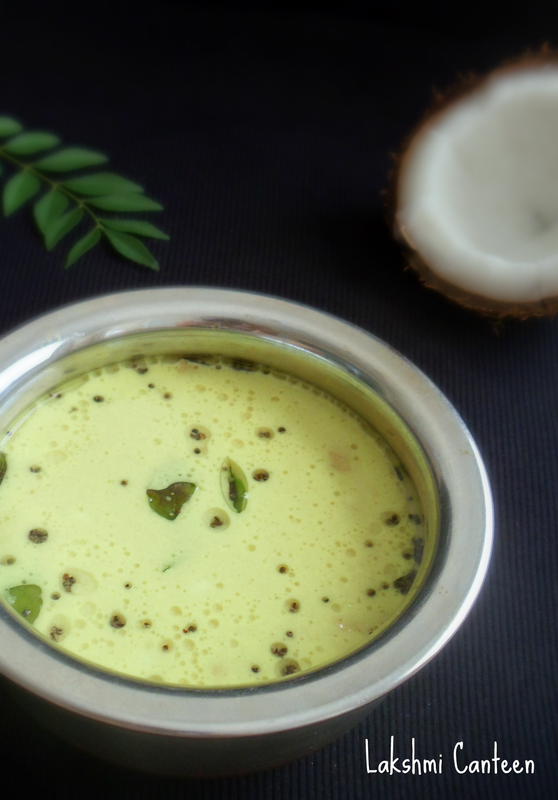 Finally seasoned with mustard and curry leaves. 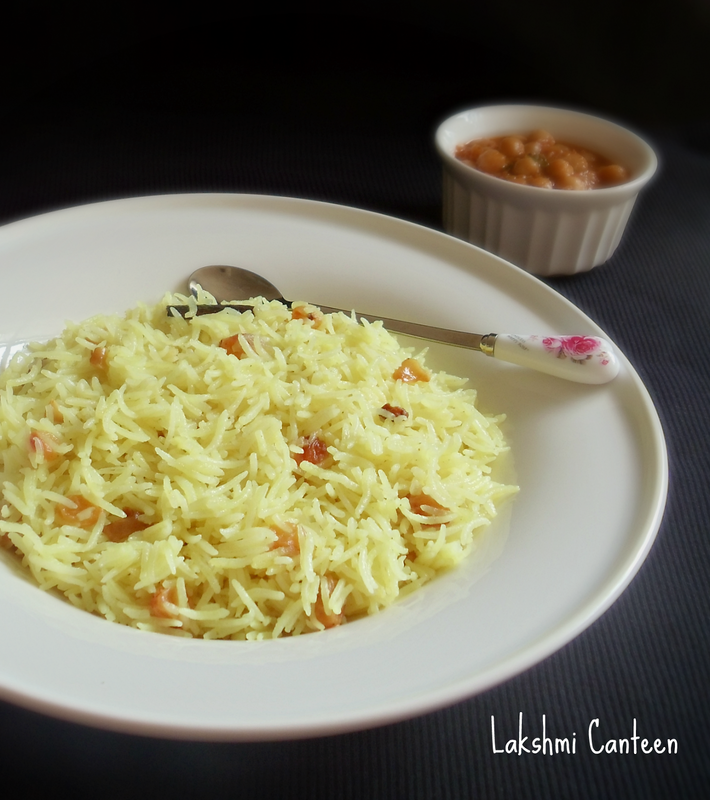 The fresh coconut makes this dish little sweet and cumin, ginger infuses a wonderful flavor. It had been so many years since I had this. Few months back my mother mentioned about this dish and hence I thought of posting it. 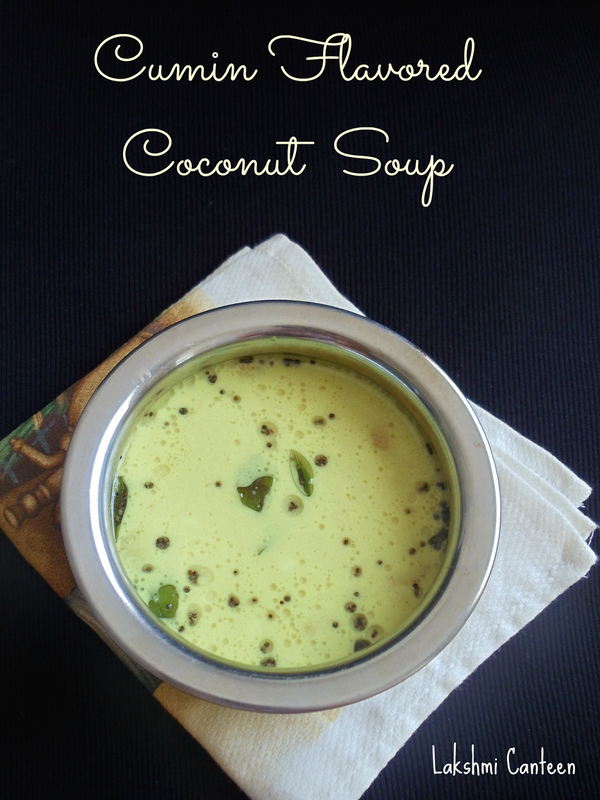 Finally I made it as I had fresh coconut. It turned out very good. 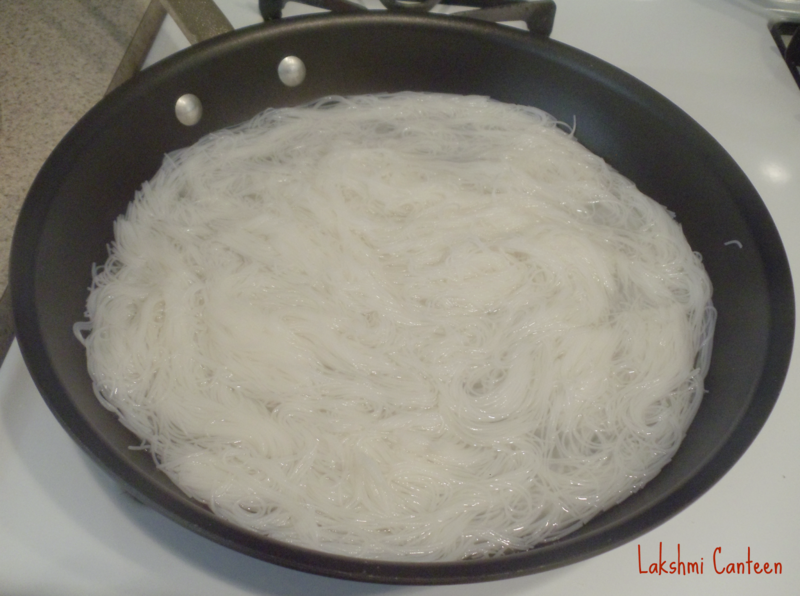 Do try making this and I am sure you will love it! 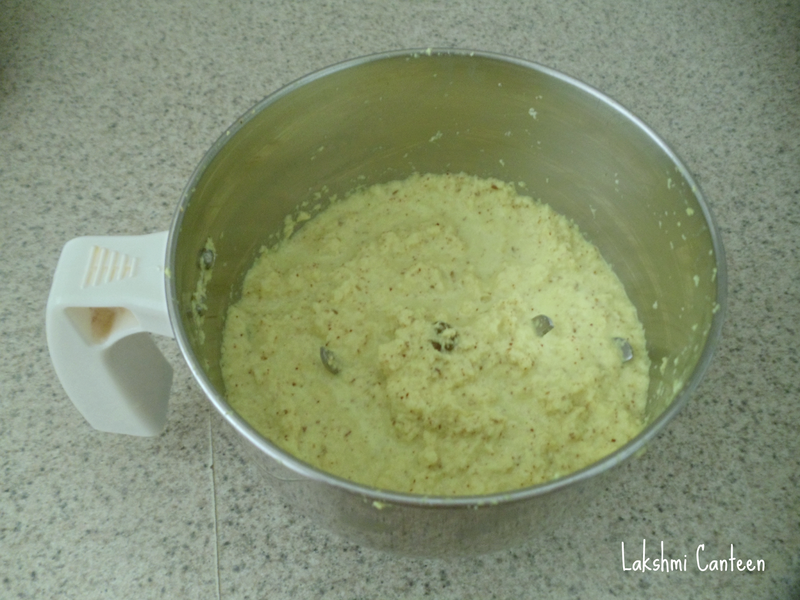 Take grated coconut, turmeric, salt in a blender. Grind it along with little water to get a smooth paste. Once done add cumin seeds and blend it again for few seconds. Now transfer the ground paste in a pot along with roughly chopped ginger and green chilli. Start heating it and add enough water to get the desired consistency. I kept it medium thick (not too thick or thin). 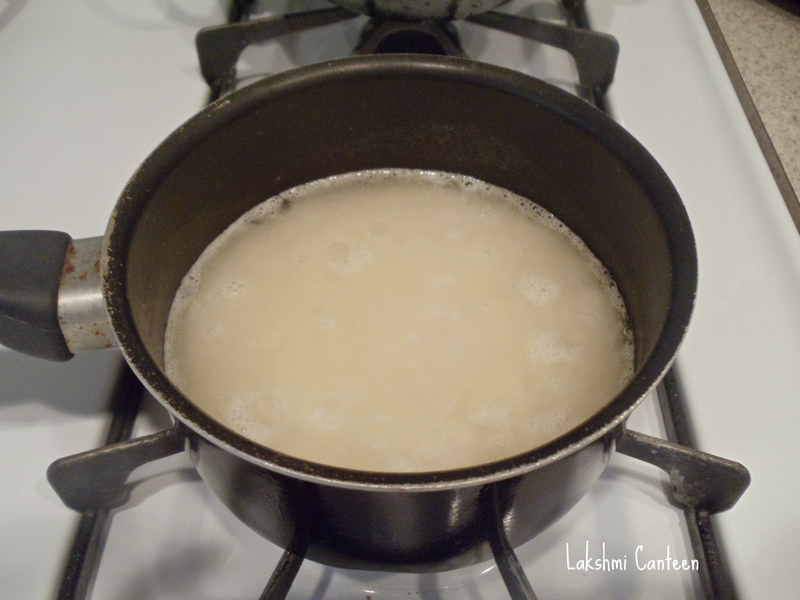 Once the mixture comes to a boil reduce the heat to medium- low and continue heating for 2-3 minutes. Then turn off the heat. Finally add in the seasoning. For Seasoning - Heat oil in a small pan. Once hot, add mustard seeds. After it splutters, add curry leaves and turn off the heat. 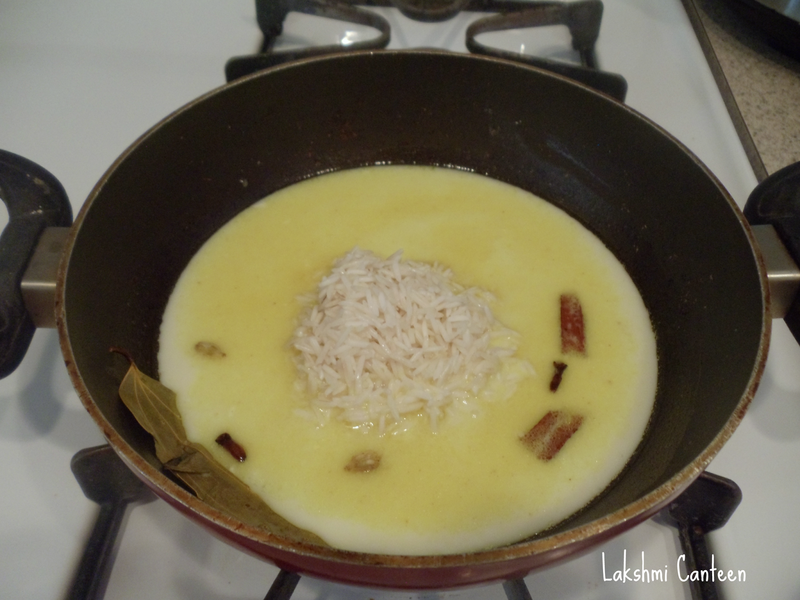 Add this to the cooked coconut mixture and mix well. Jeere Ambat is ready!! 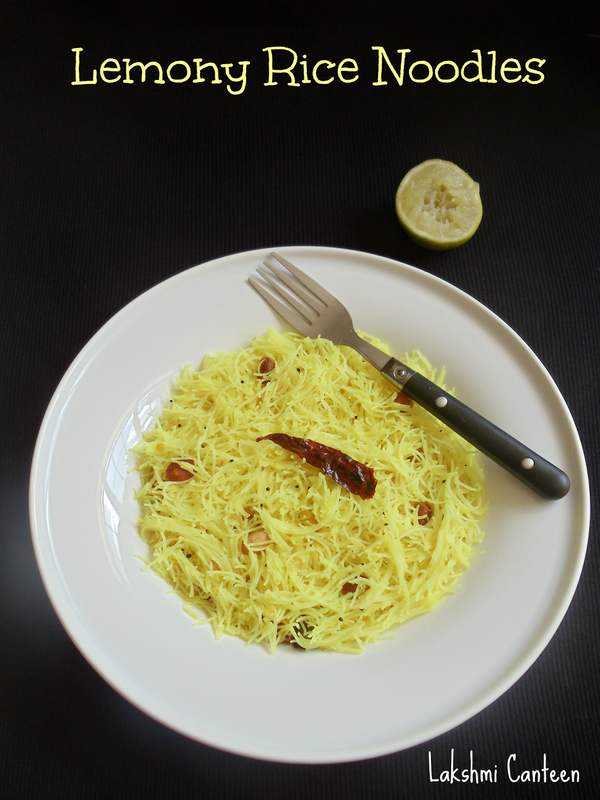 Lemon Sevai is a quick and simple South Indian breakfast. 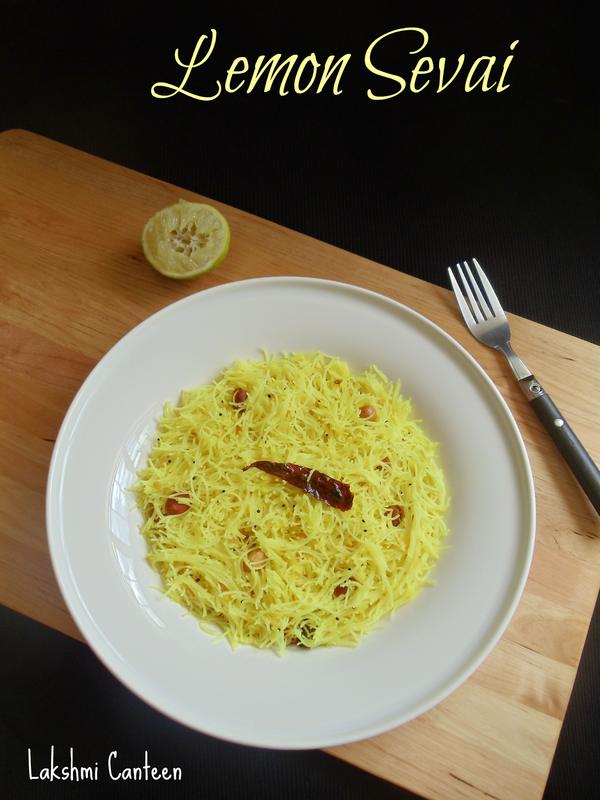 In Southern part of India, people make rice noodles at home and the left over noodles generally gets transformed into lemon sevai. Recently we had this for breakfast at our's friend's place and I was inspired to post this recipe. 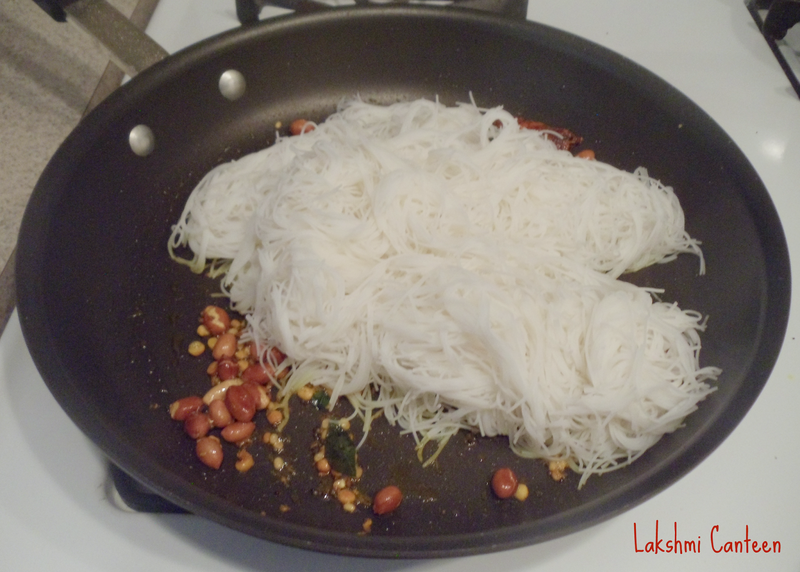 I used the dried rice noodles from International market for this recipe and it turned out very good. I adapted the recipe from here. Do try making this for breakfast or for lunch box or you can also serve this as an evening snack for your kids. 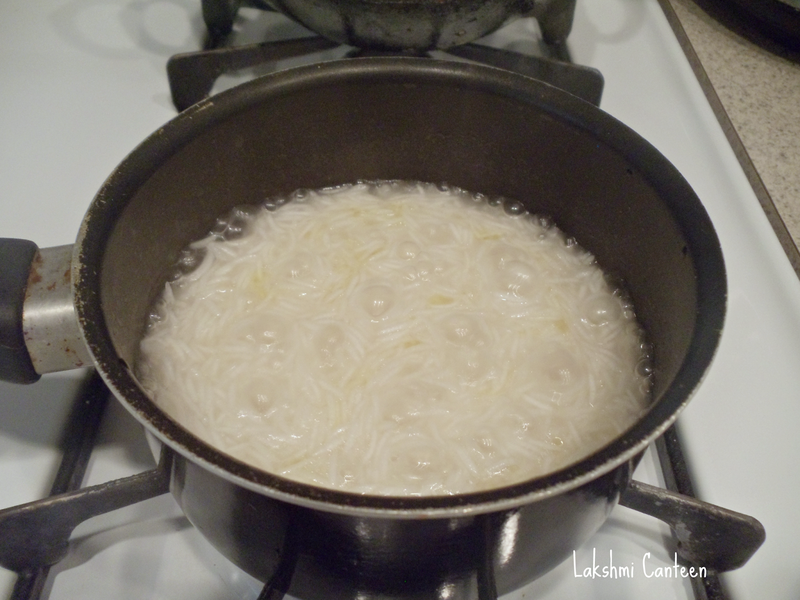 Heat enough water and when it starts to boil, add in the rice noodles. Then turn off the heat and close it with a lid. Let it sit for 3-4 minutes. Now the noodles are cooked (since they are very long and difficult to eat, I cut them randomly using a kitchen scissors). 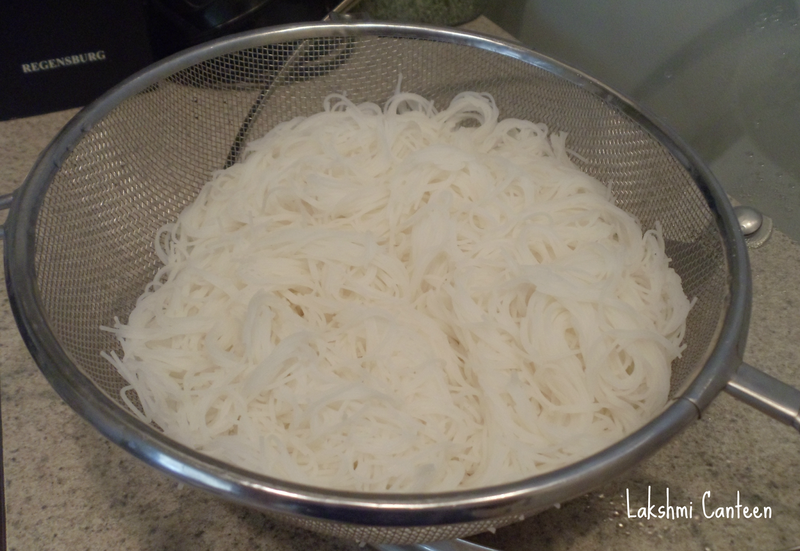 Transfer the noodles in a strainer to remove excess water. Then pour cold water and let it drain completely. Now take a pan and heat oil. Once hot, add mustard seeds. 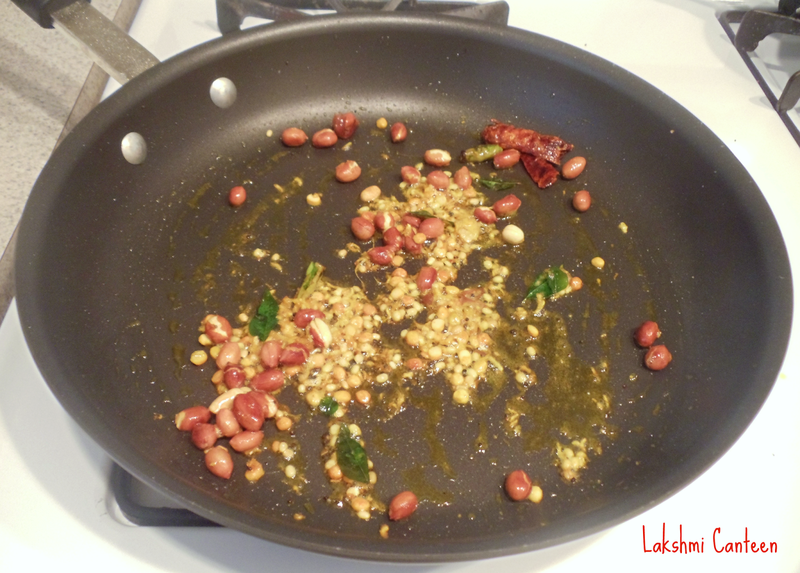 Once it pops, add curry leaves, cut green chilli, red chilli and peanuts. Fry for few seconds. Then add in chanadal, urad dal, asafoetida, grated ginger and turmeric powder. 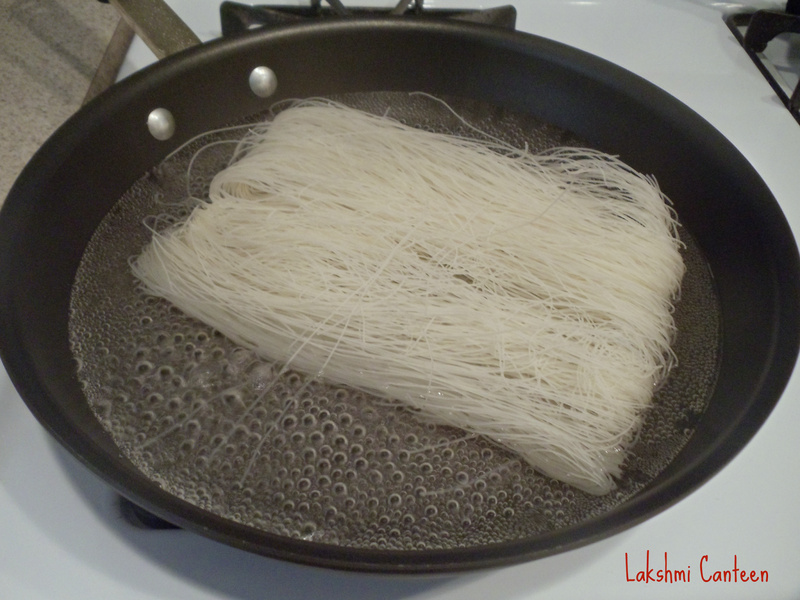 Once everything is toasty and light brown, add in the cooked rice noodles, salt and sugar. Mix it gently. Finally add in lime juice and toss it well. Taste the noodles and add more salt or lime juice, if required. Then turn off the heat.